Black Friday is the litmus test for most ecommerce giants. If your website can sail through Black Friday without a hitch or third-party outage, then rest assured your website performance is on par with industry standards and better than 90% of all ecommerce websites. Third-party tags have become an integral part of modern website architecture, and they continue to impede performance optimization. And the impact of third-party content is never more evident than during the holiday sales. This year, website performance on Black Friday was no different from previous years. The influx of heavy traffic can take a toll on performance, but it becomes even more complex considering the dependencies brought in by third-party services. The application performance inevitably takes a hit resulting in outages and sluggish end-user experience. 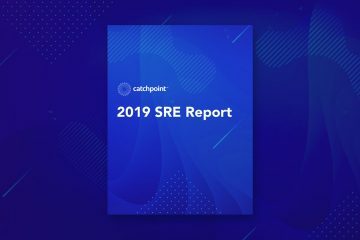 Catchpoint identified a major third-party outage that slowed down hundreds of websites during Black Friday and over the weekend. Some of the biggest ecommerce giants use Coremetrics as a customer experience analytics platform. Websites using Coremetrics slowed down significantly at the start of Black Friday and the issue continued throughout the day. The URL data.coremetrics.com was causing the slowdown. This URL resolves to three different IP addresses; the issue began when two of the IP addresses started to fail. The chart below compares the three IP addresses. Performance of several websites slowed down due to Coremetrics. The sites took longer to load, some as long as 35 seconds. In the chart below, we can see the response time for the URL data.coremetrics.com. And in the chart below, we can see the direct impact of the latency in Coremetrics response time. The document complete value spiked as soon as the Coremetrics URL started failing. This incident is another reminder that monitoring third-party performance is vital to website optimization. Another interesting pattern we noticed was the impact of user experience. The page structure played a major role in mitigating negative user experience. For example, pages that had the Coremetrics tag at the bottom of the page code saw minimal impact on end-user experience. On the other hand, pages that had the tag at the top or body of the page were significantly much slower. 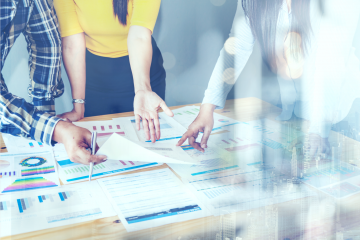 Every year, companies scramble to put together the right optimization techniques and monitoring strategies in the lead up to Black Friday and the holidays. In addition to implementing advanced measures to handle the holiday traffic, it is also important to focus on the basics of optimization. This includes page structure and third-party tag management. 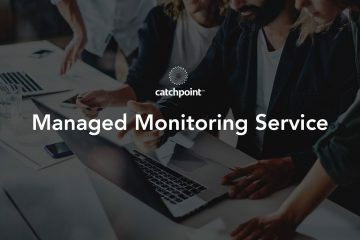 Catchpoint has always stressed the need to proactively monitor all components of a page, most importantly third-party service. The recent BGP incident that impacted Google is another example that adds to the case for monitoring third parties. If you haven’t already, download our Retail Web Checklist to prepare your site for future traffic surges.